The ‘Going for Growth: Expanding your business with additive manufacturing’ workshop was held by UOW’s Advantage SME and the Southern Manufacturing Innovation Group with support from the NSW Government. – and the CSIRO to share expertise with businesses to help boost innovation. “UOW’s Advantage SME program is doing this by bringing together university researchers and industry to solve problems and help businesses grow,” Mr Ward said. The UOW workshop was a chance for Illawarra businesses to learn how 3D printing can help their business grow and also network with other innovative regional businesses. The 3D printing workshop included a keynote presentation by Dr Allan Rennie who is a lecturer in engineering and an expert in 3D printing and product development from Lancaster University in the United Kingdom. 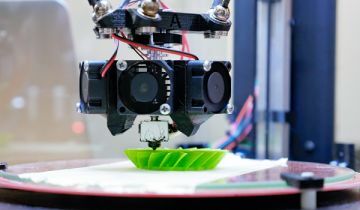 Dr Rennie has a record of helping industry transform using 3D printing and will show how Lancaster University’s Engineering Design Academy has successfully grown its local SME community. The Engineering Design Academy has gained an international reputation for its innovative approach to SME collaboration and transforming local industry through additive manufacturing. UOW also offered complimentary business consultations with Dr Rennie from 6-8 December.